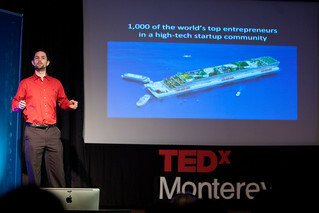 Max is CEO of Blueseed, the visa-free startup community to be located on a cruise ship 30 minutes from the coast of Silicon Valley, in international waters. Max is the son of two Cuban immigrants, and has been passionate about entrepreneurship and technology from a young age. He received his undergraduate degrees in Global Political Economy & Philosophy from Muhlenberg College in PA, and his MBA from the University of Miami. Before joining Blueseed, he was Director of Business Strategy at the Peter Thiel funded Seasteading Institute.